2. 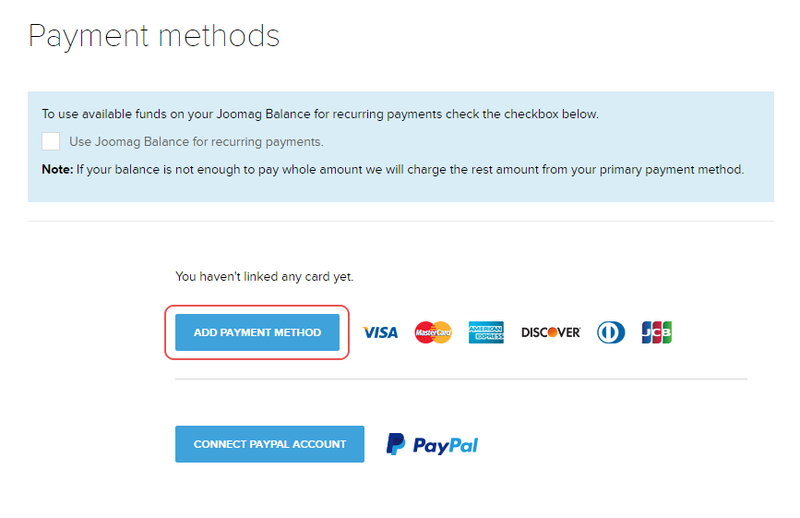 Click the ADD PAYMENT METHOD button. 3. 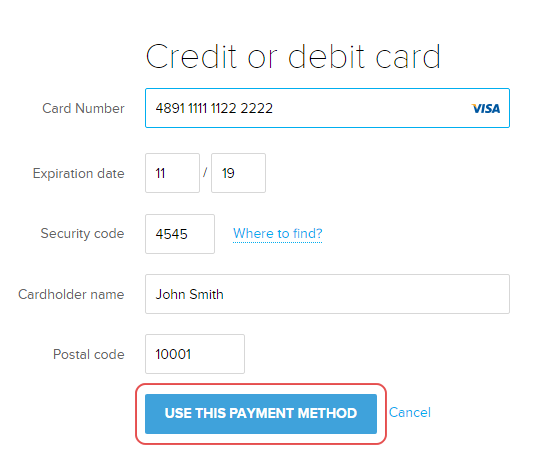 Fill in your credit card details and click the USE THIS PAYMENT METHOD button. Done! Your card is now linked to your account.